Since Donald Trump became the U.S. president, Daniel Levy – an immigration lawyer in Canada – has been flooded with emails from the talented foreign workers who hold H1-B visas. Many of them are from India, work at U.S. technology companies, and now regret their move to America. Conveniently, there’s another group of people who’ve been reaching out to Levy a lot lately: the employers of major technology companies in Canada. “They have a desire to contract these H1-B workers,” Levy said. 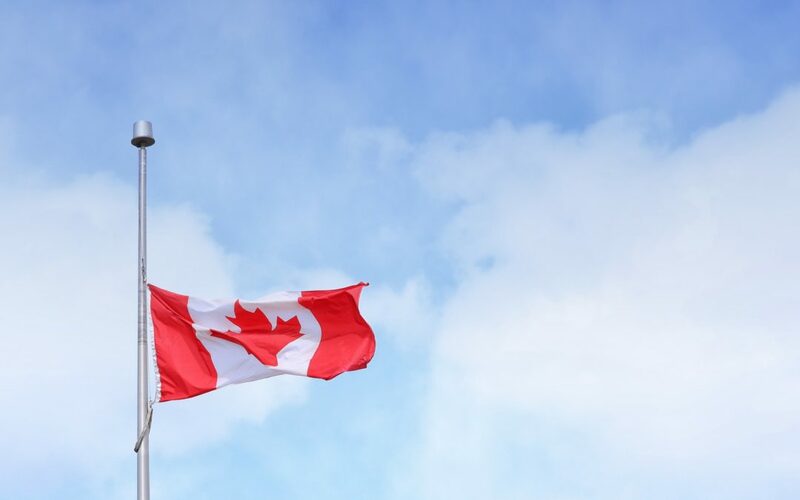 At the same time that President Donald Trump turns the United States into an increasingly hostile environment for immigrants, the Canadians are rolling out a litany of policies to make their country an even more welcoming setting for foreigners. In particular, many Canadians hope to take advantage of this time to expand Canada’s nascent but growing technology sector. They plan to give Silicon Valley some competition. On the campaign trail, Donald Trump wooed many Americans by promising to create and preserve jobs for them as opposed to people born outside the U.S. As president, he signed an executive order in April that matched his “Hire American” agenda. The order directs federal agencies to review the country’s immigration laws and recommend changes that will prioritize the American worker. In particular, President Trump took aim at the H1-B visa system, which originated in 1952, saying the work permits should not be given out through a random lottery. The U.S. issues around 85,000 visas a year to highly skilled and educated immigrants. The changes being considered to the H1-B visa system include increasing wage requirements and making the application fees more expensive. Those extra costs could limit the hiring power for some start-ups. Many U.S. tech company owners are already speaking out against Trump’s policies. About 13 percent of America’s technology jobs are filled by H1-B visa recipients. Tech company employers have long argued that most Americans lack certain sophisticated technology skills and that they therefore need to hire talent from a wider, global pool. Now it might be harder for them to do that. They might also lose some of their current high-skilled foreign workers, who are now being offered opportunities in the country up north. A start-up company in Vancouver, True North, is offering to pay for the airfare and accommodations for foreign workers to come learn about Canada’s immigration system and job opportunities. The Canadian government is launching a program this June called “Global Talent Stream,” which will allow certain skilled workers to receive a work permit within two weeks of applying. The program will also allow for some short-term foreign workers to work in the country without a work permit. Back in 2015, Canada launched an Express Entry system, which granted speedy citizenship through a merit-based system. The efforts have paid off. In the last five years, technology sites with hundreds of start-ups have come to life in Vancouver and what is called the “Toronto-Waterloo Corridor,” which houses more than 15,000 technology companies and some 200,000 tech workers. Overall, the technology industry accounts for 7% of Canada’s economy – greater than that of finance and insurance industries, according to The Brookfield Institute, a nonpartisan think tank in Toronto. 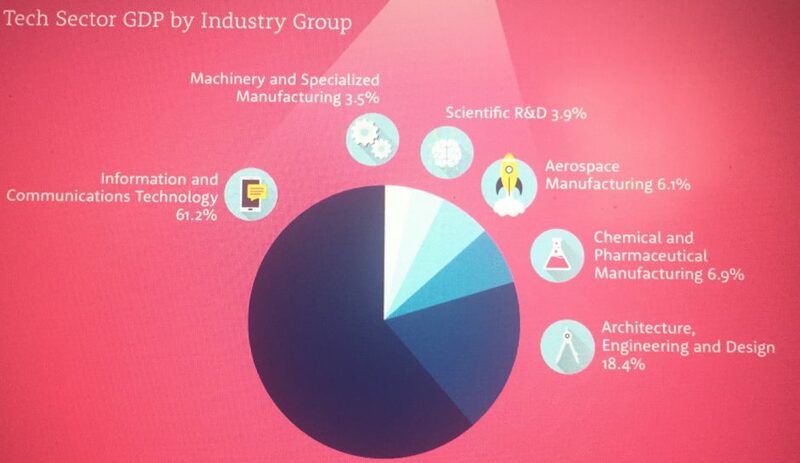 The U.S. technology industry makes up the same percentage, 7%, of America’s total gross domestic product. Around 6% of Canada’s workers are employed in technology positions, compared with 11% in the U.S.
Michael Carter, CEO of Kahuso, a tech startup in the Corridor, said he’s recently seen Canadians who worked in Silicon Valley return to their home country, both because of the tech sector’s success there and the growing anti-immigration rhetoric in America. There are some 350,000 Canadians employed in Silicon Valley. The organization, Go North Canada, is promoting the return of natives to Canada, by advertising the country’s technology opportunities. Not anymore, he said. But even though he isn’t considering moving his company to California, he is planning to one day expand to other cities in the U.S., like Washington D.C. or Boston. He said the population of Canada versus the population of the U.S. – 35 million people compared with 350 million – requires him to do so. “It doesn’t make sense for me to just sit in Canada,” Carter said. Levy, the immigration lawyer, said the country’s population and technology is growing at an impressive rate, though. And one technology sector shows the impressive strides Canadian tech sectors can make: artificial intelligence. It was the government and universities in Canada that sparked today’s AI boom, but many of those first developers eventually left for California. Now, that might be changing. There’s a three-day conference this May in Toronto on artificial intelligence’s impact on Canada’s economy. Last year, the Canadian government invested more than $300 million into artificial intelligence development.